In the colours of white, red, blue, yellow & green, packed by 5 flags per roll. 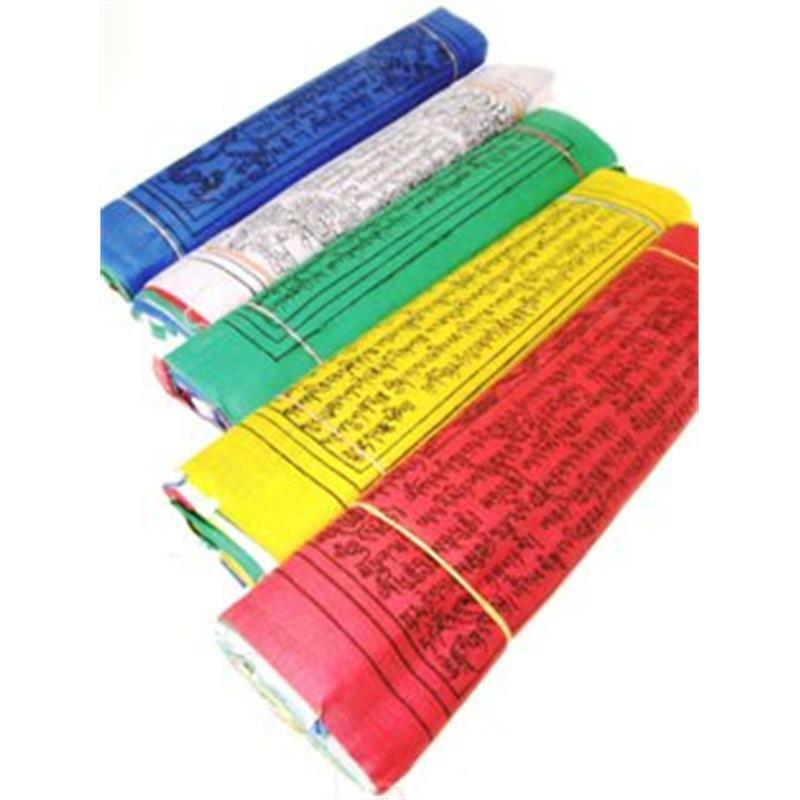 In Tibetan Buddhism, these prayer flags are indispensable. According traditions, the prayers printed on these flags will be spread by the wind and contribute to a positive environment. 5 flags of app. 14 x 13 cm. Cord lenght app. 140 cm.